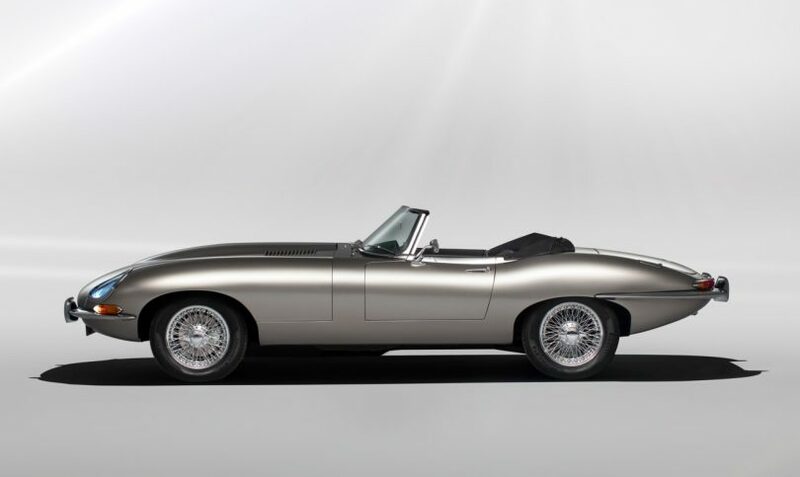 A look at the battery-powered Jaguar E-Type Zero revealed during Monterey Car Week. The Jaguar E-type Zero concept held court at Monterey Car Week’s The Quail, A Motorsports Gathering, showing off its orange clad block of batteries underneath a tastefully painted Bespoke Bronze hood. Though our own interest in the royal wedding itself was admittedly tepid at best, word of their one-of-kind electrified rendition of the iconic monocoque 1968 British sports car being duplicated for production definitely ignited an audible amount of approval and wide-eyed interest with its announcement and appearance at the exclusive The Quail, A Motorsports Gathering during this past week’s Monterey Car Week.